Automatic coil winding machines are essential in various industries. We added the high-speed option and now our machines perform at four times the efficiency. Our high-speed winding machines are equipped with 16-Bit Microprocessors and stepper motors. 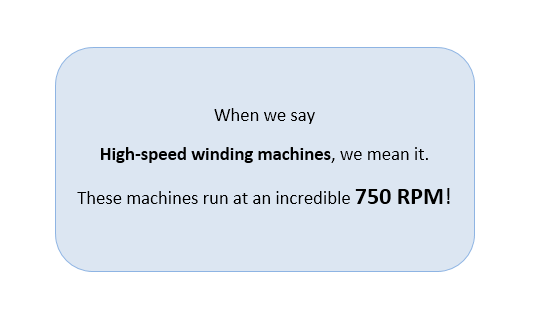 In addition, they can wind coils at an incredible rate of 750 RPM. What’s more, you can easily set up and program several functions like speed, number of turns, wire traversing functions, section winding, wire pitch, acceleration, and more. Our automatic coil winding machines are designed for quick set-up. They can be installed and set-up in less than 8 hours. Time taken to program the various parameters depends on individual application specifications. However, programming time for each machine averages at 5 hours. Attached speed knob allows for variable speeds. 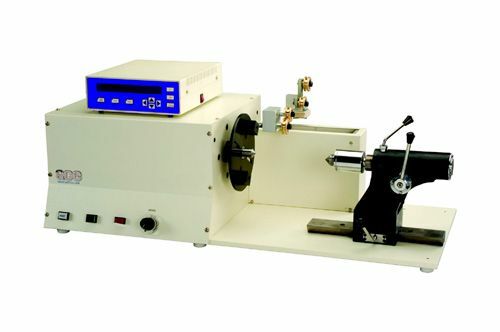 Specialized technology allows the speed to be changed while winding is in progress. DISPLAY Detailed information about the operation in progress. Includes number of turns among other vital information. PROGRAMMING Menu installed on top of the machine for easy access. MEMORY Can save up to 95 programs. Each program can consist of 9 sections. COUNTING Wire guide can be tracked with reference to winding direction. PRODUCTION COUNTER Built-in production counter. SPEED INDICATION Speed indication helps achieve high quality winding. Particularly helpful in high speed winding operations. SECTION WINDING With a total of 855 sections, each of the 95 winding programs allow for nine sections each. SPEED CONTROL Both speed knob and speed indicator on panel allow for precise speed control. ACCELERATION Automatic start and stop. Gentle acceleration and deceleration. PROGRAM PARAMETERS The parameters related to winding operations are easily programmable. APPLICATIONS Power Transformers, UPS, CVT, HV Coils, PT, etc. MANUAL BRAKE Also provided is the option to manually activate the brake. This will allow better hold of the spindle. This option ensures a high amount of control. TAPPING Easy programming of taps – allows programming of up to 9 taps in each program. With 95 programs, this totals to 855 total taps. POWER SUPPLY Machines feature logic circuits and utilize SMPS power supply. 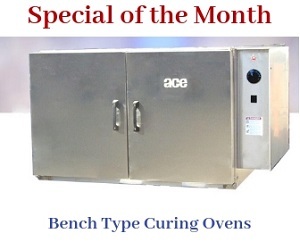 This allows them to function continuously over a wide range of voltages. LAYER STOP Easily programmable to allow for several winding variations. WIRE PITCH Easily Programmable. Automatic soft start. START FUNCTION Programmed to start automatically. Soft start doesn’t jerk the machine or other equipment.